We regret to inform you that your complimentary premium access to Experts Exchange has expired. Here's another bug, but this time in whatever function generates the emails. 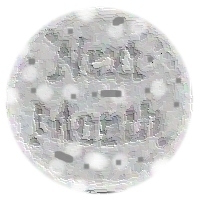 I tried zooming in on the dot x 3,500% to see if there was any miniscule text hidden in it like writing on grains of rice for a novelty, but alas it is just occupies 3 pixels in different shades of grey when captured as a JPG screenshot and viewed at this level of magnification. @BillDL - Not sure if you've seen the documentary series CSI, but you can verbally tell your computer to "enhance resolution" and it will turn those 3 pixels into full 4k rendered text and show you the identity of the killer in in the reflection of the monitor. Thank you for the report. I have captured this feedback for our teams.